1. 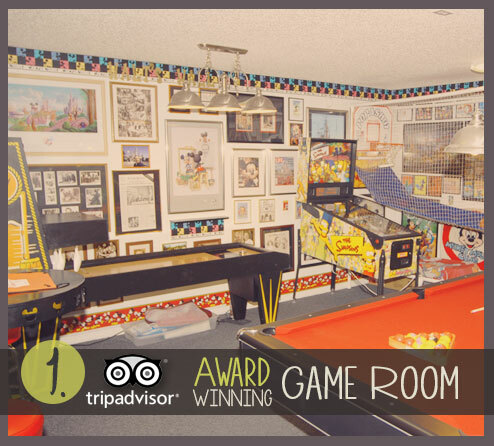 Trip Advisor awarded our game room in the Top Ten American Vacation Home Amenities! Shoot billiards, play Pop A Shot basketball, choose from over a thousand arcade games, race in the Atari Driving Game San Francisco Rush, play Simpsons Pinball, try your skills with the Shuffle Bowling Alley, or choose from our Wii library on a 32 HDTV. 2. 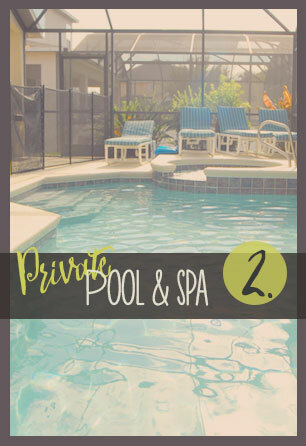 Sun bath and swim in your private pool and spa. Lush landscaping and screen provides privacy and we never charge our guests for pool heat! There is also a safety fence and alarm on the back door to keep the kids safe. 3. 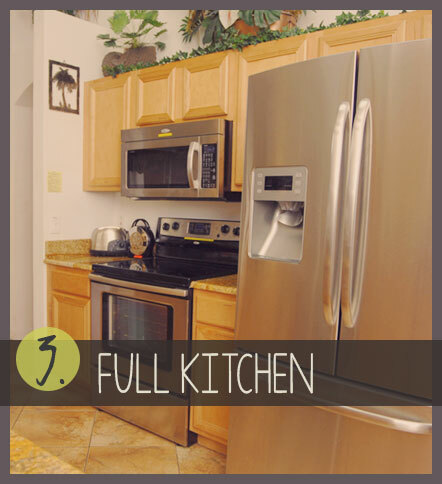 The kitchen area is perfect for preparing a quick snack or a gourmet meal. With updated range, microwave, refrigerator, and dishwasher, and granite countertops, you will feel like a chef in Tropical Retreat’s kitchen. Top-of-the-line Cookware and utensils for the microwave, range top, and oven are provided. Dishware includes Cinnabar Fiestaware, poolside plasticware, bar glasses, and frozen pilsner glasses and mugs. There is even a Mickey Mouse waffle maker and sandwich press for the kid in all of us. 4. Don’t spend your vacation idling in traffic, spend it vacationing! 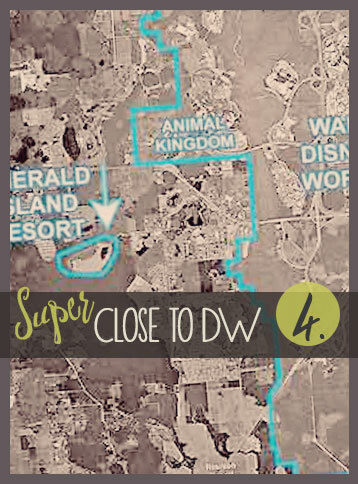 We are located only 2.6 miles from DisneyWorld in beautiful Emerald Island Resort. Click here for map. 5. 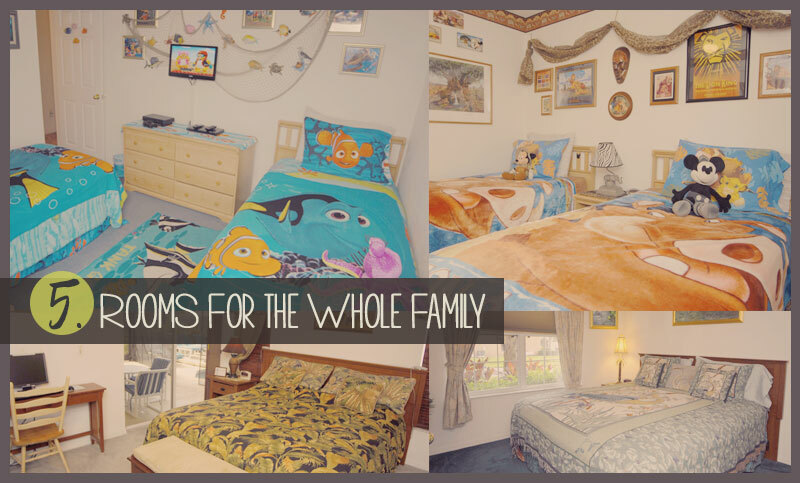 With 2 master bedrooms and 2 twin bedrooms, there is room for 10. High-quality mattresses and linens, large California king beds in the masters, and LCD flat panels in all bedrooms are only a few of the amenities we offer. Click here for full list of amenities. So what are you waiting for? Make your reservation inquiry now!